Camping is inclusive of so many lifelong benefits that it seems wholly relevant for us to suggest you do more of it. There are numerous health advantages, and even ways to leave smaller carbon footprints by using solar powered products. Everything you need for a great camping adventure can be found in this piece. So, what are you waiting for? 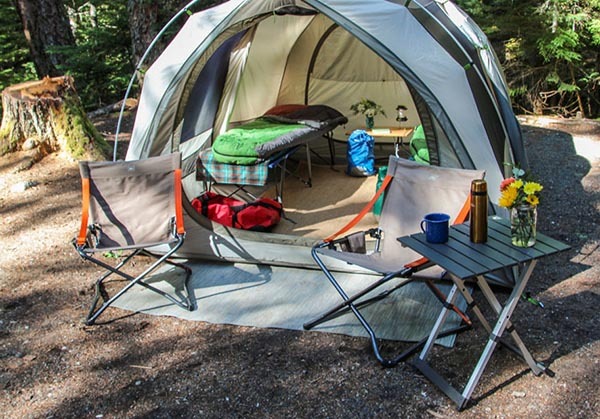 Start planning your next camping excursion now! Don’t forget your survival tent. Sure, you could go the all-natural way and create your very own makeshift tent with some sticks and leaves, but having a real tent with you is probably in your best interest. Of course, survival tents aren’t exactly the same things as average camping tents. They are more about emergency situations. However, they are lightweight, durable and designed specifically for crazy moments when you absolutely need shelter. Get a regular tent if you want to, though, as they work well for planned jaunts. Pack the first aid kit. When you are out in the woods a whole host of things can happen that could cause injury. In fact, something is probably going to happen, even if it’s as small an issue as a blister from those new hiking boots. Having a first aid kit can offer much needed relief. Just be sure to never leave your campsite without your kit. Click this for more information. Keep matches handy. We all know that you want to be the one who rubs some sticks together to get the fire going. Or, maybe you’re planning on using some pine needles and a magnifying glass. But, the truth is, you will still probably need something to start the fire unless you are an ex-marine or a boy scout. Don’t go camping without a sure-fire way to start the flame. Bring some rope. Those tales about bears invading camping sites for the sake of foraging food aren’t the fairytale kind. Plus, you might need a way to allow your clothes to dry in case of rain. Perhaps, even, someone will get stuck in the mud or quick sand and you will need a way to come to the rescue. Rope comes in handier than you have probably ever realized. Consider bringing a tarp. If you have ever accidentally gotten a hole in your tent, you will understand the value of this essential. Plus, you might need one to sit on. They’re easily folded and won’t take up too much space when you pack. Don’t forget some peanut butte Peanut butter is an excellent source of protein and can be readily eaten without other utensils. Plus, it’s great at getting gum out of your hair. You never know who chose to stick a wad in a low hanging branch. Let there be light. Surely you wouldn’t go camping without a flashlight. And, there are some great solar powered ones that can hold a full charge for as long as three years. Don’t leave home without the light. Learn more. Carry a pocket knife with you everywhere. The best kind is a Swiss Army Knife. They have almost every essential tool you will need on this grand adventure. And seriously, it’s a small way to have almost everything you need, even a toothpick! Want more helpful advice? Read this.